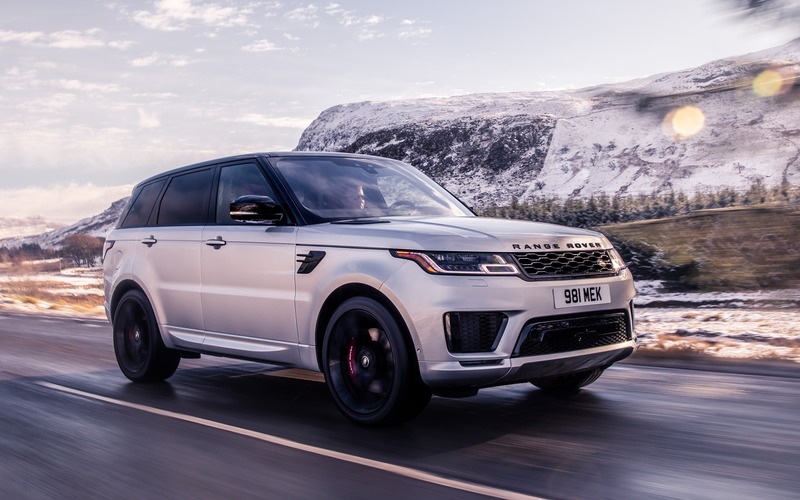 The Range Rover Sport is getting up there in age, as the current-generation model was introduced for the 2014 model year. Yet that’s not stopping Land Rover to keep cranking out new editions of its SUV. The latest variant is called the HST, and it’s the brand’s first model to boast an all-new inline six-cylinder engine equipped with a 48-volt mild hybrid system. Displacing 3.0 litres, this new powertrain gets an electric supercharger and is assisted by a small electric motor during acceleration. The hybrid portion also takes care of managing the automatic start/stop system when the vehicle comes to a halt. Land Rover says the new powertrain produces 400 metric horsepower and 406 pound-feet of torque. The Range Rover Sport HST is decked out with some unique cosmetic touches, such as carbon fibre trim on its hood, front grille, lateral air vents and tailgate. Deux alloy wheel designs and five paint colour choices are also available. Inside, the HST receives two-tone, 16-way power-adjustable front seats as well as suede trim on the steering wheel and shift knob. Pricing and availability for the Range Rover Sport HST in Canada hasn’t yet been announced. The British manufacturer presented the Land Rover Discovery SVX at the 2017 Los Angeles Auto Show, which was an even more off-road capable version of its midsize SUV, equipped with a 518-horsepower, supercharged V8 engine. The company’s Special Vehicle Operations division had also announced the creation of SVX (extreme off-road), SVA (more luxurious) and SVR (high-performance) emblems. However, according to an article published on Autocar, the Discovery SVX won’t make it to production after all. The Range Rover SV Coupé, a two-door version of the full-size Range Rover SUV that was unveiled at the 2018 Geneva Auto Show, seems to have received the same fate. In an article published on Car and Driver, Land Rover confirmed the cancellation of the project, despite customers having already ordered one of the 999 units scheduled for production.